Hello gentle readers of “in the culture of one world!” I’m living in Buenos Aires for six months (through the end of this year), seeing theatre and blogging about that (at 25weeksbsas.blogspot.com.ar/) and other stuff. Thanks for jumping in midstream. So: The photo makes this look better — or at least more interesting — than we found it to be. 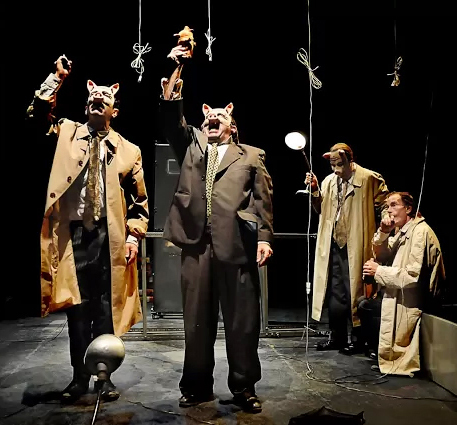 A Spanish company called La Zaranda, they do a super old-school ’70’s Augosto Boal/Tadeusz Kantor poor-theatre Marxist political critique thing. And nothing wrong with that. But a) while this sort of show is designed to be seen in a raw warehouse space right in front of you, it toured here to the enormous and slightly ridiculous national Teatro Cervantes, so we saw it from about a mile away; and b) I couldn’t secure the text in advance, so I understood about half of the talking and Nick about none. So chalk it up to experience. 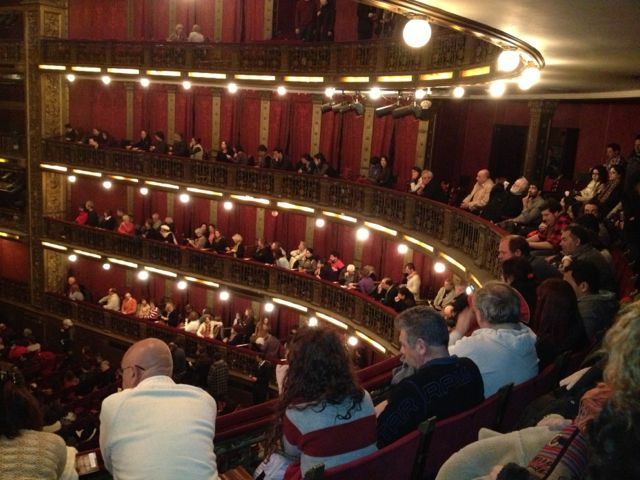 Samuel Buggeln, a New York theatre director and designer, is presently in Buenos Aires, where he is researching the Argentinian theatre world. See more about his experiences at his blog 25weeksbsas.blogspot.com.ar. His website is www.buggeln.net.